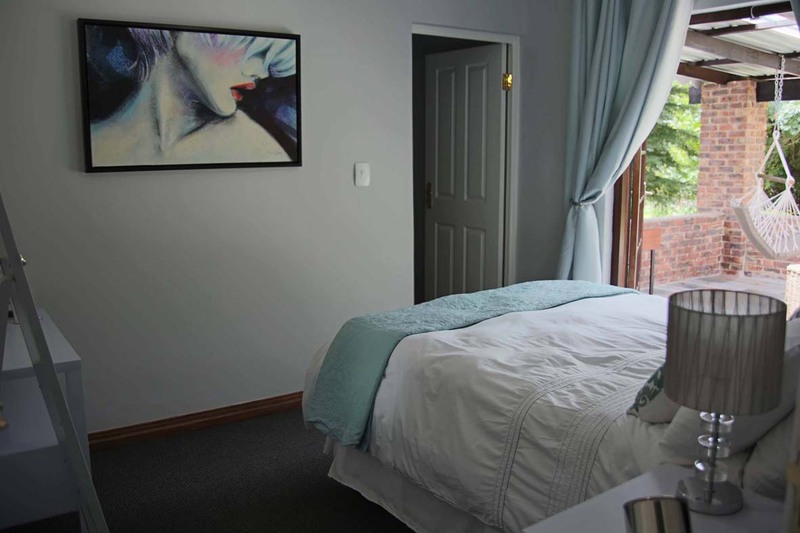 Behind The INN "Dullstroom Boutique Accommodation"
The Garden Cottage at Behind The INN consists of a spacious home providing luxury accommodation for 4 people in 2 spacious bedrooms and an en-suite with a wet room. The main bathroom offers an amazing bathing experience in terms of an outsized free standing bath. Fully equipped kitchen including dishwasher, microwave and coffee machine, lounge with fireplace and dining room round off the inside experience. 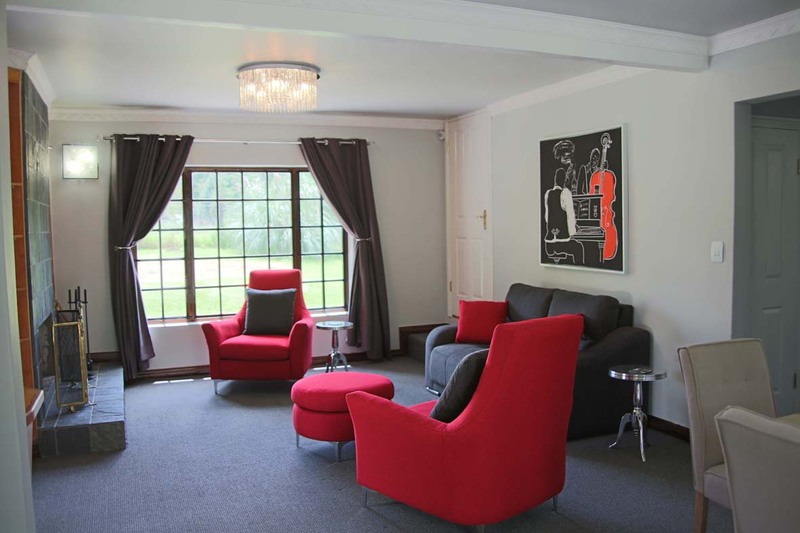 French doors lead to a fully covered veranda with a charming view of a typical Dullstroom scene. 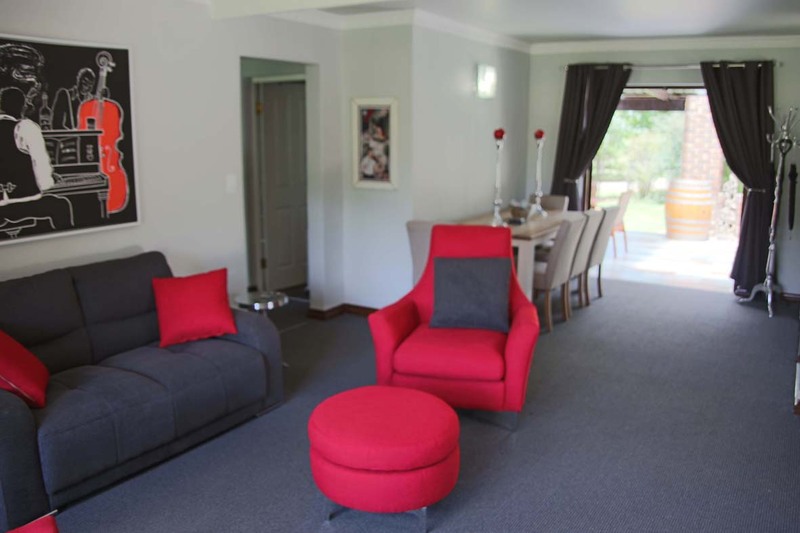 It runs the length of the house complete with built-in Braai, dining set and various couches and loungers, ideal for relaxing and spending quality time together. A boma under the trees allows you to pile on the wood and enjoy.